Homelessness needs political solutions. 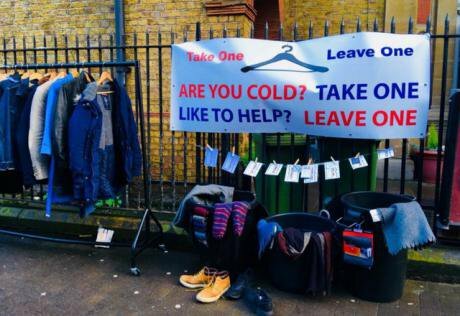 But as temperatures plummet, communities are also finding a new way to both immediately practically help, and connect with, homeless people. Whilst Take One, Leave One may offer some respite for rough sleepers in the coming weeks, initiatives such as this can only have a small, short-term impact. What is needed is government action. In Finland, homelessness was eliminated through its "housing first" policy which offers people who need them permanent places to call home.